This tapestry "Timeless Grace" is based on the work of artist Charles Britt. In this piece, the magnificent magnolia is captured in all its beauty in warm yellow and sepia tones. This modern piece will suit any room or home requiring a contemporary, floral or botanical touch. Britt's work typically is of flowers, captured with realism and dynamism, and this piece is no exception. This is a beautiful piece showing the form and structure of the magnolia flower. 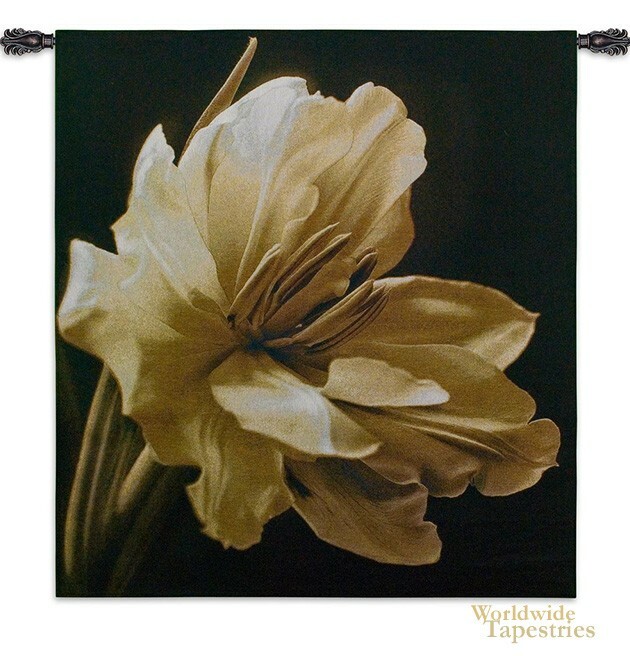 This contemporary floral tapestry "Timeless Grace" is backed with lining and has a tunnel for easy hanging.